Instagram is a great way for singers to showcase their talent. If you want to get noticed, and possibly even become a famous singer on Instagram, then here are some hints and tips. We are going to tell you how you can start singing, make videos, get your video views up, use Instagram hashtags for singers, and more. 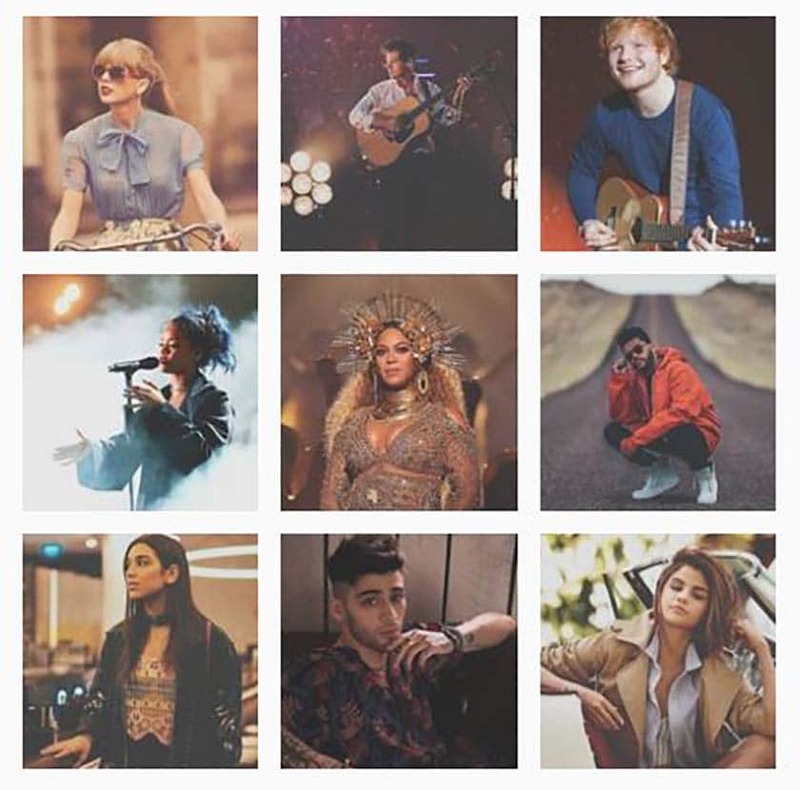 Singers on Instagram use this platform to engage and boost their fanbase, and you could too! Did you know that according to HootSuite, 1 billion people use Instagram every month? That’s an insane amount of people who you could potentially promote your singing and music to. Based on those figures, it’s no wonder there are so many singers on Instagram. However, that doesn’t mean it will be the right promotional source for you. You need to decide if the demographics of this social media platform suit you. For example, almost 70% of all users are female, and nearly 60% of all 18 to 30-year olds use it. If that’s your target market, you need to start an Instagram singing account. If that sounds like you, sign-up to the service and get started by registering your name. We have some advice on how to choose a username here. Congratulations, you are now an Instagram singer! But what next? You need to get know how to make singing videos on Instagram, how to post them, what Instagram hashtags work for singers, and how to get your video views and fans up. Firstly, you need to know how to start singing, and what’s involved with posting videos on Instagram. It’s a relatively simple process, and this guide on the Instagram website takes you step by step through the process. For singing videos, or any other video for that matter, you need eyeballs on them. To best reach high viewing figures, you will need followers (and we have some tips on how to increase those lower down), but there are a few other things you can do to in the meantime. Choose relevant singing hashtags (more about this later). Optimise your video description and title so people know what it’s about. Schedule your video post to publish at the peak time of the day. Run Instagram video ads (more advanced, get help here). Instagram engagement is huge. People interact with the content far more than any other social media network. In fact, research from 2016 showed that Instagram posts have 58% more engagement and sharing than Facebook ones do. By having a dedicated fanbase and followers you can get your singing videos spread far and wide to a huge audience. Here are some tips you can use. Promote your Instagram account when you sing at open mic nights. Be creative with your singing hashtags. Join trending hashtags in your music niche. Get involved with other singers and music conversations. Interact with top influencers in your particular music niche. Develop your own character and recognisable style. Use inventive ways to get people to share your video content. Increasing your followers is a on-going strategy; you can read more in-depth tips on Wordstream.com. This is one of the most effective ways of using Instagram to your benefit. By tagging relevant phrases or words to your pictures, you are able to target the people who are interested in similar posts. For example, let’s say you’ve just sung at your local open mic night. Afterwards, why not upload your picture and use hashtags like #music, #openmic and #singer. That way you’re more likely to gain followers with similar interests and aspirations. Social media takes a bit of effort to maintain, but the benefits are well worth it. If you don’t reply to messages from your followers, or simply thank them for their comment, it’s unlikely they’ll continue to interact with you. The most successful up and coming singers on Instagram try to reply to fans and friends regularly to show their appreciation for their comments and support. Engage with your commenters, even if it’s just to say thank you. This is a function that can be used to increase more personal interaction. It allows followers to private message a person rather than commenting publicly on their picture or video. This function can give provide a more personal approach to your social media and shows you’ve taken time to read their message about your Instagram singing videos. By showing you are active on Instagram, your followers are more likely to interact and less likely to unfollow you. You don’t necessarily need to post every day, but posting a couple of photos and singing videos a week gives your fanbase an inside look into what you do when you’re not performing. 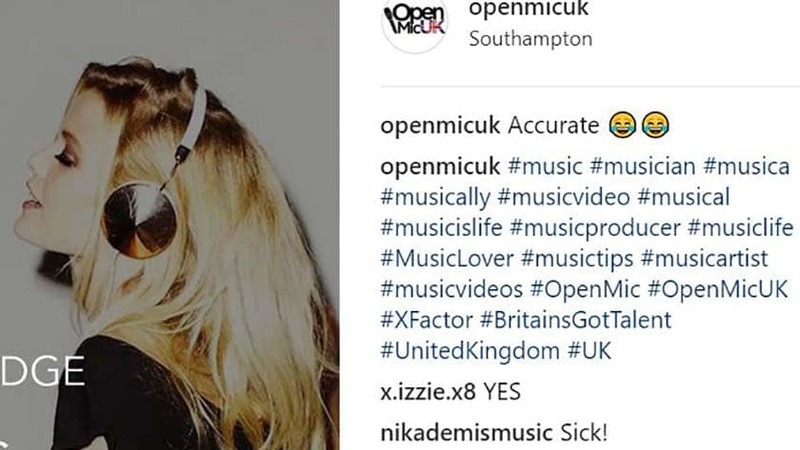 For example, on a day when you’re doing an open mic night or practising with your singing teacher, why not upload a picture or a video with appropriate singing hashtags. That way fans can see the behind the scenes moments too. It’s not all about you though! It’s also important to remember to interact with their posts as well as yours. 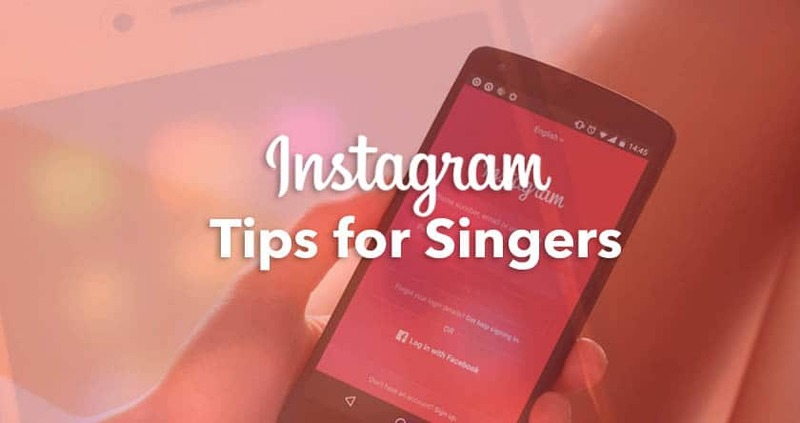 This one tip can gain you huge respect and help accelerate you towards “possibly” becoming a famous singer on Instagram. Once you’ve got a wider fanbase, then why not interact even more with your followers by running a competition? Create a singing hashtag all people who enter must use. Make uploading a picture essential, that way the hash tag can be searched by other entrants. Make a rule that all entrants must be following you, that way you’ve built more fan base. Make sure the prize is relevant to you as a singer. Upload a prize winner’s post, so other entrants can see you’ve chosen a winner. This one strategy is how some of the most popular Instagram singers got noticed on their way to becoming famous, with their singing video views going through the roof afterwards. 10. What is the best time for posting singing videos on Instagram? Knowing the best times for posting your singing videos on Instagram could be the difference between your content spreading like wildfire or bombing with zero engagement. Research suggests that users are more active on Instagram between the hours of 8 and 9am in the morning on Monday and Wednesday. Don’t take that as gospel though, as it might not be the right time for you and your audience. We recommend you test out posting days and times. Then after you’ve done this a few times, look for patterns of engagement to help you come with the best time to schedule your videos. The beauty of social media is that you can spy on other performers to see what they’re doing, what works well, what doesn’t, and pick up some promotional tips. Follow other Instagram singers you like, see how they connect with their followers, and find out what has the most engagement. You want to give potential fans a reason to follow you, so having a unique story and style could be one thing you see famous Instagram singers adopting – you can do that too! We publish singing and promotional tips on a weekly basis. Many of those will be posted to our social media accounts, including our Open Mic Instagram for singers account. You can see that below. Make sure you follow us, and tell us what’s working for you at the moment! Do you agree with Jorja Smith?